FireServiceRota is a powerful and flexible availability, scheduling and dispatching system for firefighters. Try out our planning software for free! 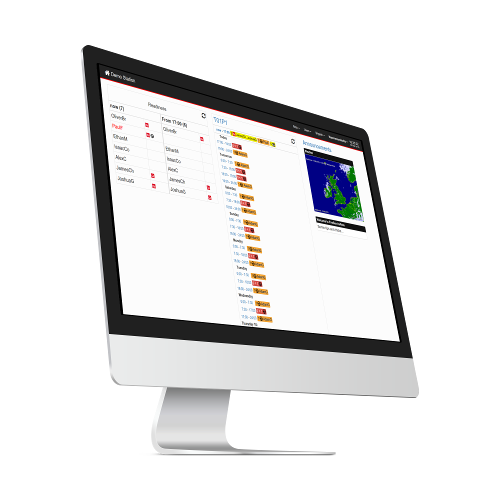 FireServiceRota provides real-time insight into the availability of on-call (RDS) fire brigades. It optimises crewing for wholetime (WDS) fire stations. Always and everywhere. Firefighters manage their own duty rotas. FireServiceRota continuously monitors resource availability and warns ahead in case of (imminent) understaffing. Change your rota via pager, smartphone, tablet or PC. Whichever is most convenient. And FireServiceRota can even change your availability based on your current location. Often you can plan ahead, but sometimes plans change at the last moment. Easily change your duty roster any time, any place. You have freedom without worrying about the resource availability of your station. Because FireServiceRota continuously monitors for any crewing deficiencies before they occur. Monitor the real-time availability of personnel and readiness of fire stations. Receive warnings ahead of time in case of (imminent) crewing deficiencies. Always have a full complement when the pager goes off. Detect structural problems with actionable reporting tools. With FireServiceRota.